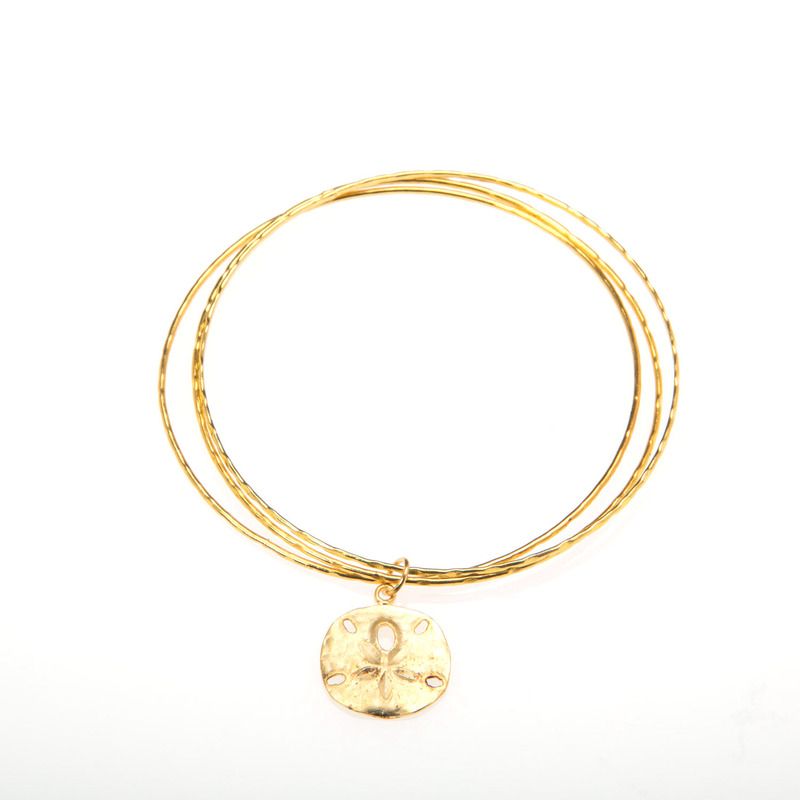 Set of three gold plated textured bangles joined together with a handcrafted Gold Vermeil Sand Dollar disc charm. The bracelets are 14kt gold plated and measure 2.75" and fit a small to medium wrist. The lotus flower charm measures 12mm in width.